Our Business Storage London is used by hundreds of Businesses in London! With Elephant Removals Services helping hands to move and store, moving into a Storage facility could not be simpler. We can offer your company a range of unit sizes and advise on the best solution. Whether you are storing a few Archive moving Boxes or the contents of an entire wholesale stock, we are here to help at every step of the way. Elephant Removals’ Temperature Controlled Ventilated Lock and Leave Store Units are free from damp condition and a perfect solution to all your Office Storage demand. For ease, our commercial storage facilities also have lit parking, 24 Hours CCTV Cameras with high security, Pest Free Rooms to ensure the perfect office storage environment for your stock, equipment and paper. Uncertain on how to best handle your office refurbishment work? No need to be concerned as we are flexible and you may hire storage for a temporary period or for a long-term, storage space solution is just part of what we offer. It is easy to hire our Commercial Storage Facilities for all your Business Storage London needs, we discuss your situation and explain the best requirements to secure your storage space. Transparent Storage prices: We simply always quote you our best prices the first time including all taxes (VAT) with no hidden extras. Experience the difference, a name you can trust, services you can rely, its Elephant Removals Storage Company. Life in London is stressful as it is. Wouldn't it be nice if we all had someone to take care of things for us? Why not rethink your business removals and storage with Elephant Removals and make a smarter use of space? Our London Storage offers secure, flexible and affordable business storage in London to suit your needs. Most use Self-Storage for short-term and containerised for long-term storing needs due to cost difference. Discuss your details and let us suggest the perfect storage solution to cater for your needs. Our trusted Removals Storage Services is used by many companies for either small office moves or Big Removals alike. As a reliable relocation firm, Elephant Removals in London is a one stop solution to all your moving and storing needs. Elephant Removals caters for all level of storage requirements for large and small companies, whatever your budget, we will offer the best value for money for container storage or lock and leave secure store needs. Elephant Removals services are rest assured from a trustworthy removal company based in London, moving across the UK-Worldwide destinations. If your office Move or moving house date has been confirmed, simply give us a call and provide us with the relevant details. Our expert movers and packers team will execute a seamless relocation and most importantly, with a peace of mind. You can always call us for a gentleman and van hire or truck rental with an experienced driver for safe move. Furthermore, we can help you with some other jobs related to home relocation such as packaging materials, packing service with full moving kit, end of tenancy cleaning, and even furniture dismantling and reassembling! Our cost effective, flexible and accessible business storage space units are perfect for your business needs. 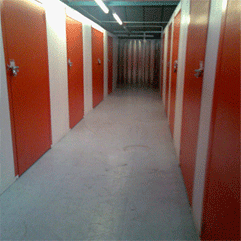 Self-Storage provides convenient business storage space in London. Find out more about Business Storage London. Get business self storage space in the heart of London. Get a Free Quick Storage Quote! Book your office move and Storage service with expert Movers and Packers. Contact us now to get advice and further information about what will be best for your situation. For further info, contact us either by phone, email, submitting Contact Us form or talking to us Online using our Live Support Chat Support software via our Website.